I put a desperate plea on FB to try to get Tina and Job a new house with running water before their baby comes. No one wants to rent to Nigerians even if they do have stay permits because they don't believe they will pay the rent because RACISM. So I was thrilled when this Finnish activist named Anna who is married to an Italian who seems to have no problem with the fact that she is vocal about her hatred for Italians and the city of Lucca and is a massive fan of conspiratory theories and the F bomb. She told me that she found our friends a house in Florence through her friend Benedetta and that they could have jobs and stay at her villa rent free. This seemed too good to be true so I called Benedetta who confirmed that her American husband is often away on business and that she would love to house a reliable immigrant couple who could serve as a caretaker for her mother and who could help with the gardening and other chores. She said she would not only offer then the place rent free, but she could pay them to do the part-time work. I ran around the house screaming with joy. I didn't sleep the whole night and counted down the hours. I just couldn't wait until we could pick up Tina and Job and show them their new house. I was so excited that we got there early and had to wait outside the front gate. When we walked in we found a total Grey Gardens type situation that was so sad that even Nigerian refugees didn't want it. 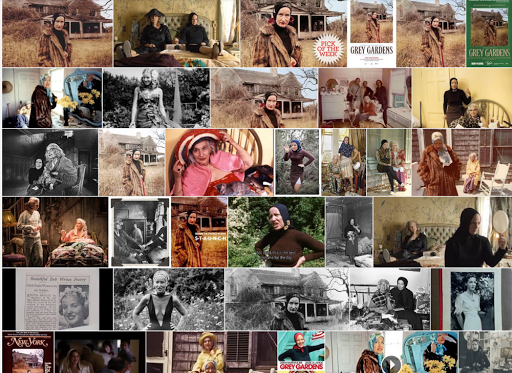 We were so depressed that we didn't take any photos to speak of, but then I looked up Grey Gardens on Google. I promise you that this is an accurate representation of what we saw. Tina started swinging her neck and clucking and complaining away in Nigerian to Job who, smart man that he is, knew he could never argue her into staying there even for one night. The kitchen was filthy. The old lady was really sweet, but also a real chatterbox. The bedroom was depressing and filled with hoarder like crap, and the bathroom was flooded with three inches of water on the floor. Benedetta's mother recounted how she had been robbed by a gang of Eastern Europeans who were very polite, but still. . . And now she doesn't feel safe spending the night alone in her house so she hoped that they would come live with her. This was not a great selling point, as you could well imagine. Then Anna showed up with a young couple who had taken her to the beach. She seemed afraid, for an f bomb dropper, because even she knew what a load of crap she had sold me about it being luxurious. She had told me that we would show all the snobs and racists by having the refugees live in a better house than any of us even live in. She exaggerated. Greatly. Tina and Job, waiting outside the gate because we were early. 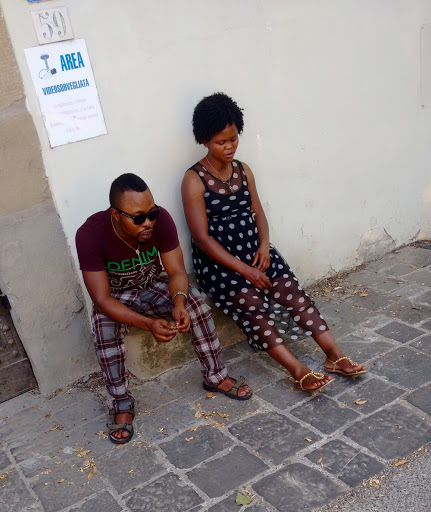 Then we met Benedetta's husband who seemed to be suffering from clinical depression and contradicted everything his wife said about having money to pay for gardening and elder care work. F did not say two words so I had to pick up on everyone's nonverbal clues. I tried to get them a hospitality letter or work when I realized that Tina would never live there. 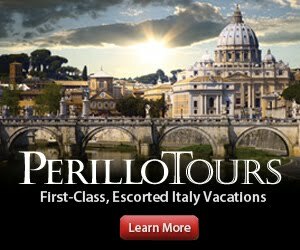 I think considering it was rent free, Tina and Job could have found a way to fix up the joint, but they were really taken back by how far in the hills it was and the fact that the bus only ran once and hour, if that, to get you back to civilization/ Montecatini. I am exhausted, disappointed, and kind of pissed off at no one and every one in particular. And also I now feel kind of down on Drew Barrymore for no real reason. Merda, merda, merda.